Are you a startup or an established company looking for a reliable partner to help design and manufacture your next generation of IoT products? Since 2010, we have been working with companies in a variety of industry verticals to develop and manufacture Android OS based smart IoT devices. Our core expertise is in the design and manufacture of embedded Android OS based systems such as industrial grade single board computers, rugged tablets, industrial panel PCs, HMIs and specialized touch screen display systems. As a full service ODM product development and contract manufacturing partner, we offer complete range of services from industrial design, rapid prototyping, manufacturing and regulatory testing to take a product from concept phase to commercial launch. Our ODM services are ideal for those companies intending to launch their own line of innovative products. Our off-the-shelf solutions offer an economical and quick time-to-market path for companies who wish to introduce their own custom branded line of products into the market with minimal configuration and development. The off-the-shelf solutions include pre-built boards/SOMS, displays, tablets and handheld devices that can be fully integrated into existing devices as modules, components or as standalone products. We provide Android OS firmware development and/or mobile application development services to provide one-stop-shop to deliver a complete product. We have deep experience in Android and Linux embedded systems development including OS level customization for real-time applications, firmware development, developing custom ROMs and porting it on many embedded boards & processors like OMAP, ARM 9/11 and NxP iMX architectures. Our experience enables us to provide complete hardware and application support from small foot print devices such as wearables to tablets and specialised displays, smart IoT devices and M2M gateways. 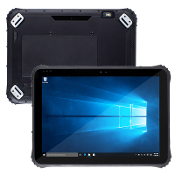 Our IP65 rated suite of Android and windows Panel PCs are designed to operate in factory and industrial environments both indoors and outdoors for SCADA, Industral automation and control. There are several options including front or full IP65 and various interfaces such as ethernet ports, PoE, RS232, RS485. Networking options include WIFI, BT and LTE. The panels can be fully customized for specific applications such as intercomms, kiosks industrial control and other applications. We have deep experience designing and manufacturing custom industrial grade embedded Single Board Computers for Android, Linux or Windows. Our boards are specially designed to operate in harsh environments, industrial applications, smart home appliances , outdoor kiosks, vending systems and in medical diagnostic devices. 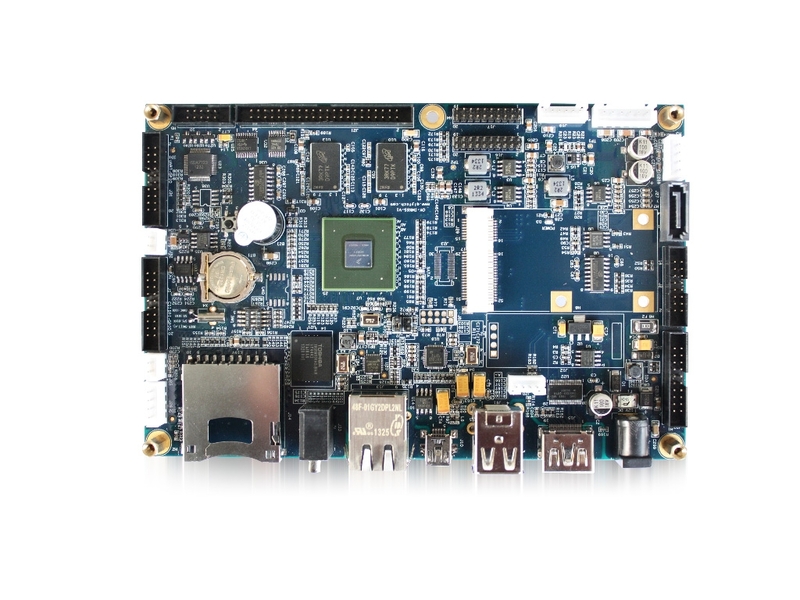 We have specific experience designing boards with NXP I.mx6, Rockchip, MTK Qualcomm based SOCs and SOMS. 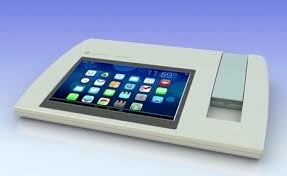 We have designed custom android boards and displays for use in medical diagnostics devices. We understand the long product development cycles and regulatory requirements of various industries and choose the best SOMs and processors for development of solutions in this space. We have designed & manufactured several commercial products soup-to-nuts as part of our OEM/ODM service. These include Intercomm systems in outdoor settings, custom displays for use in Hospitals for data entry and visualization. desktop conferencing systems. 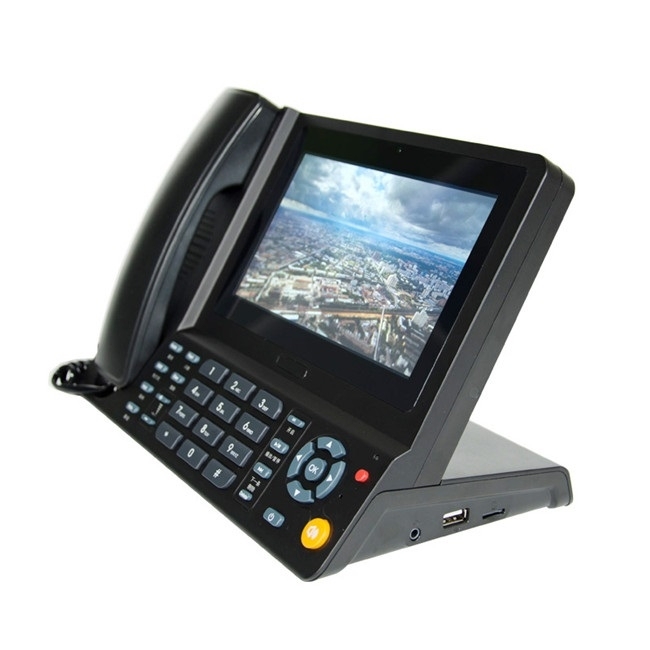 android VOIP desktop phones, portable medical diagnostic equipment and IOT Gateways. At the core of these systems are our purpose built embedded boards running Android OS. The Android OS support includes OTA firmware updates, pre-loaded apps and driver/IO support. We have deep experience in designing PoE (Power over Ethernet) based Android Tablets and interactive panel pcs that have applications in Conference room booking displays, Digital Signage, Employee time and attendance, building automation systems, hvac control systems and other applications. 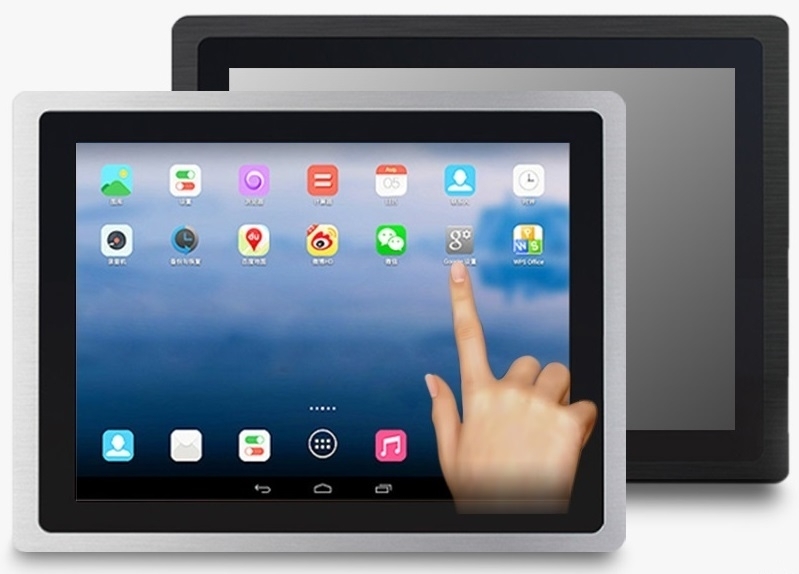 These tablets can be fully customized, wall mountable and integrated with various Interfaces such as RS432, R85, Promixity sensors, NFC and RFID. Our PoE systems include Android Panel PCs ranging from 7" to 18" displays. We have worked with companies such as Bayer, Ingles, SRS Distribution to design and deliver Android touchscreen based time & attendance systems. Our solutions in this space include 7", 9" and 10" panel pcs with built-in POE or ethernet RJ45 ports and wall mounted that can be deployed securely in factory floors. 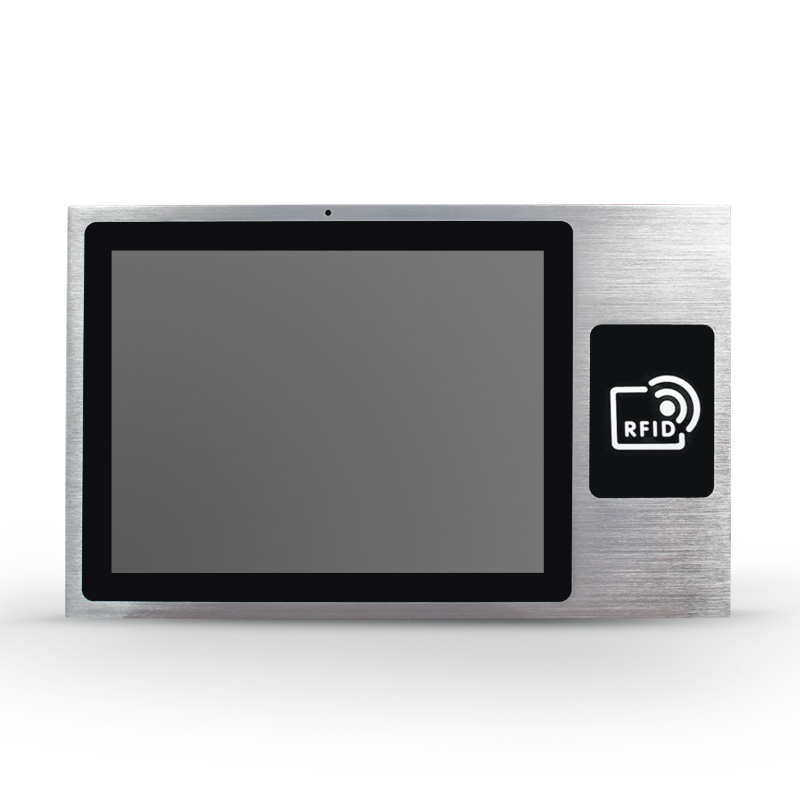 These units can be optionally fitted with NFC or RFID sensors for scanning ID cards. Our solutons provide high degree of security incorporating biometric fingerprint sensing technology. 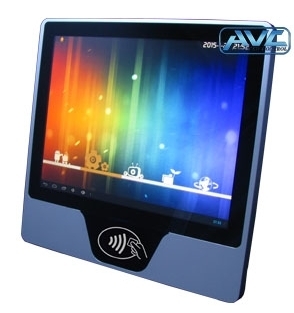 Our 7" and 10" Android PoE wall or glass mounted tablets are widely used for conference room displays by several companies. 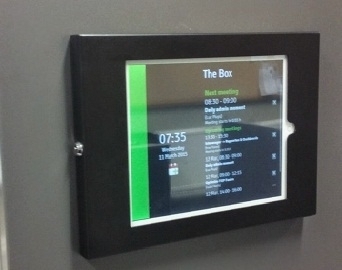 Our customers deploy these in conference rooms or office rooms to view the occupancy schedule and book the rooms. Customers may install third party apps like Room Display from Gogetcorp or Robin or isntall any other Android app. 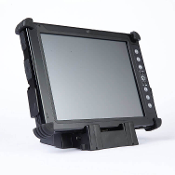 Our rugged IP65 tablets have been used in a variety of harsh outdoor environments that enable field service operators in various sectors such as oil & gas, construction and utilities to use the handheld tablets for data collection, analysis and productivity applications. These devices are IP65 rated and are designed to operate in the rugged and harsh environments that are reflective of this industry. 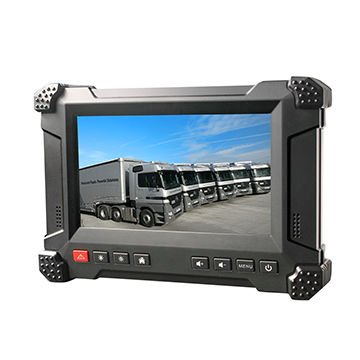 They are mountable on vehicle dashboards and with high precision GPS and LTE offer complete functionality for Federal Motor Carrier Safety Administration (FMCSA) electronic logging requirements. Geekland has expertise in designing and manufacturing custom industrial embedded Android boards and touchscreen displays for smart appliances such as ovens and cooking ranges. 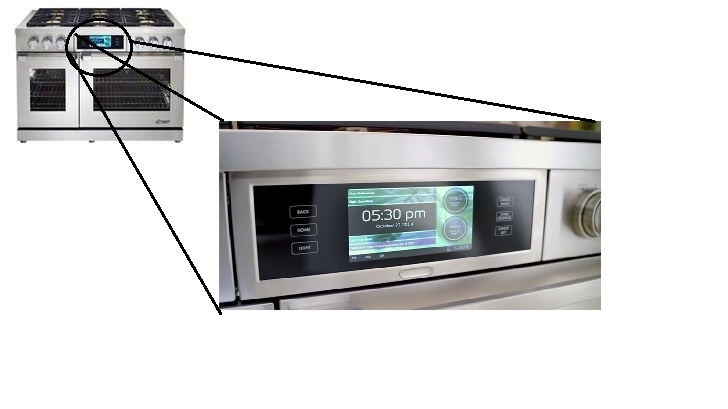 See how Dacor's smart cooking ranges use our custom built Android OS based embedded board in an innovative way to enhance the cooking experience. These boards are designed to operate 24x7 and designed to withstand and operate in high temperatures that are typical for these devices. Ask us for bulk discounts and other special requirements and we will be happy to assist you in every way. For wholesale pricing and special orders please contact us or call us toll-free at (877)-597-7673.